They may have lived a thousand years ago, but Vikings sure were ahead of their time when it came to their hair, or at least the History Channel’s hit show would make it seem. 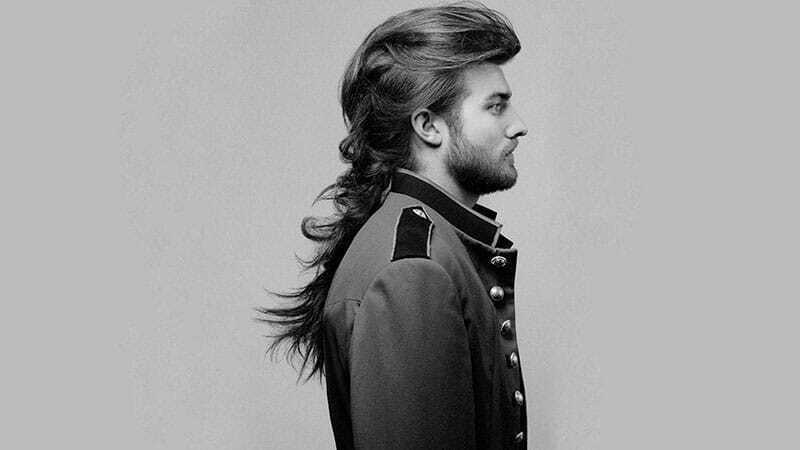 Epic braids, killer disconnected undercuts, and masculine ponytails all spring to mind when picturing one of these historic warriors, and we love it. After all, what man doesn’t want a haircut that looks insanely fierce and stylish all at once? Of course, these bold and daring ‘dos certainly aren’t for the faint of heart. But, if you can handle the huge amount of attitude that comes from rocking a battle-ready cut, then you’ve come to the right place. 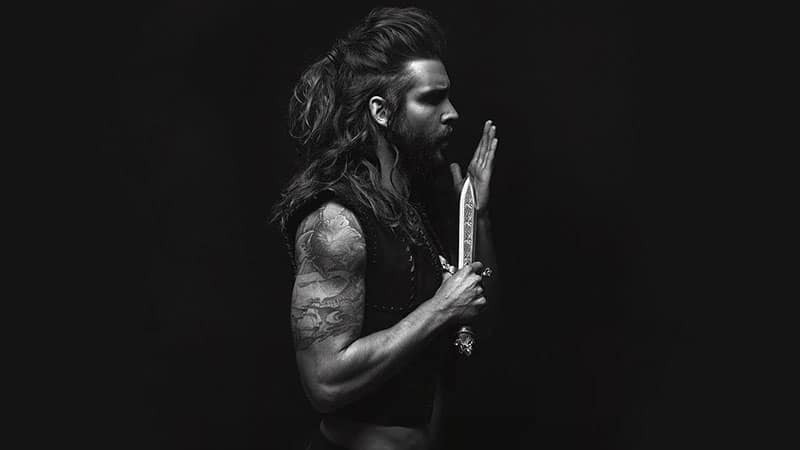 We’ve got all the coolest Viking hairstyles for men to inspire your next look. Viking hairstyles are often characterised by long, thick hair on the top and back of the head and shaved sides. The result is an eye-catching and attitude-filled look that’s perfect for tough gents. To rock the style, all you need to do is apply some modern updates. 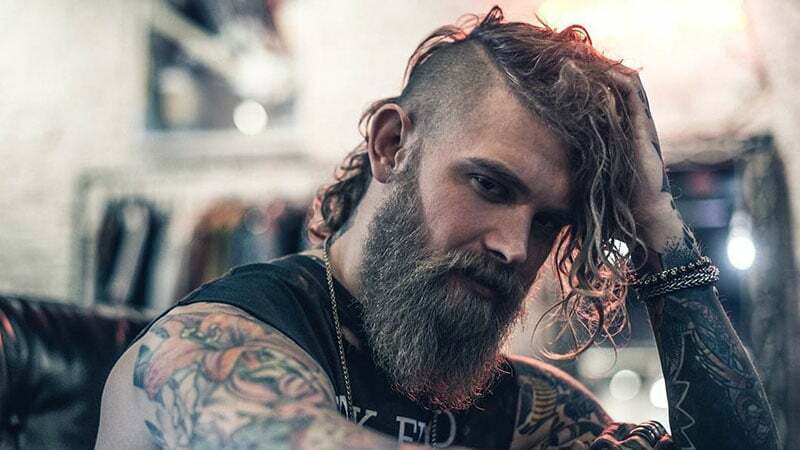 A temple shave can be an excellent way to achieve the same edgy appearance as an authentic Viking hairstyle while maintaining a modern appeal. Not all Viking hairstyles require a long mane that can be brushed, braided or wrapped into a bun. 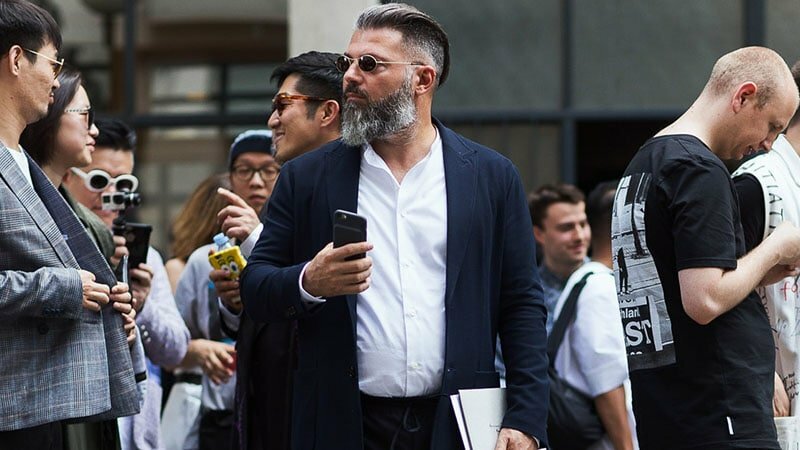 For a look that boasts the same sense of personality without the follicle requirement, you should consider a shaved head. After all, it’s not just disconnected undercuts that look stylish and edgy with a flash of the scalp. 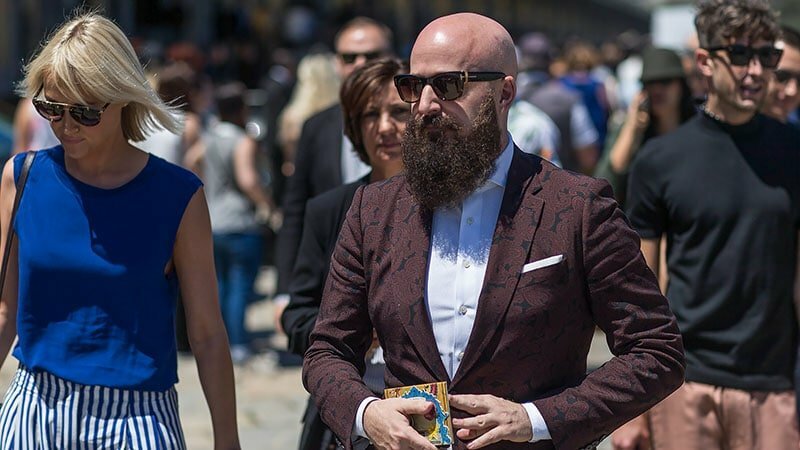 To rock the look, just remember to add a beard, and don’t be afraid to let it grow. While short stubble may look good on many modern gents, an authentic Viking appearance demands facial fuzz that’s bigger and bushier. To truly take the Viking style into 2017, try a braided part this year. 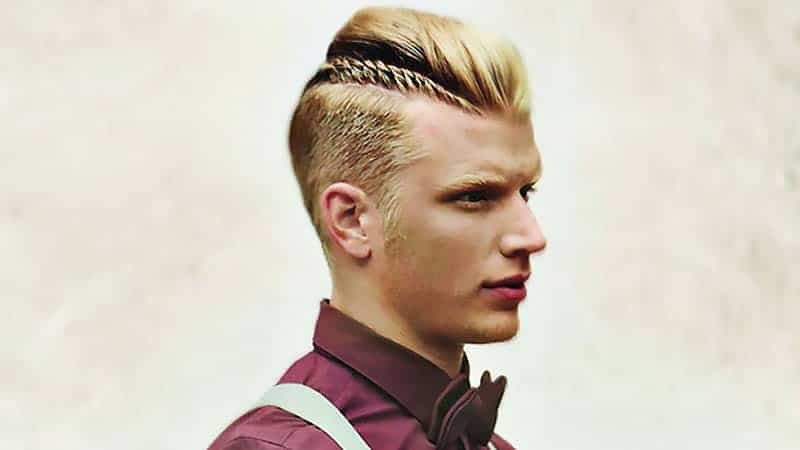 The hairstyle is perfect for modern gents who want an edgy warrior appearance without the rough-around-the-edges finish. The look also works exceptionally well with an undercut and can be styled on top in many ways, including an on-trend pompadour. Of course, the braid will always draw focus and keep the look rooted in Viking history. Long hair can create some seriously awesome Viking looks. 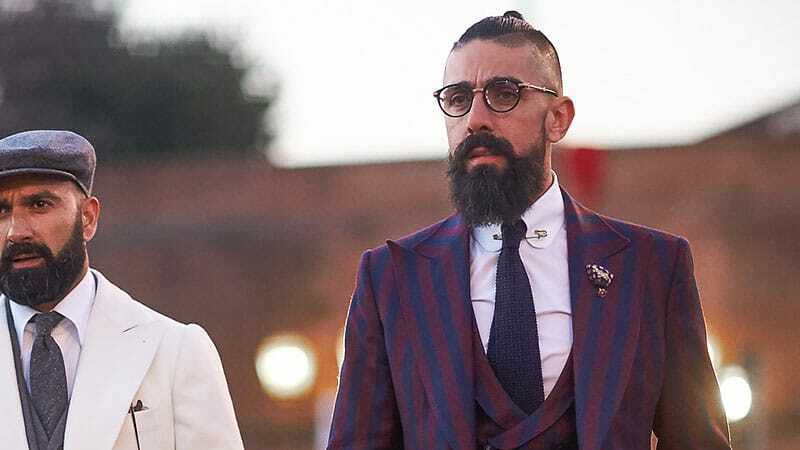 So, if you’ve already put in the time to grow your locks out to a considerable length, you should reward yourself with an incredible warrior style. The loose braid is such a style and one that you should try. Don’t be put off if you’ve never braided hair before. The process is surprisingly simple, and it won’t matter if it’s not perfect. 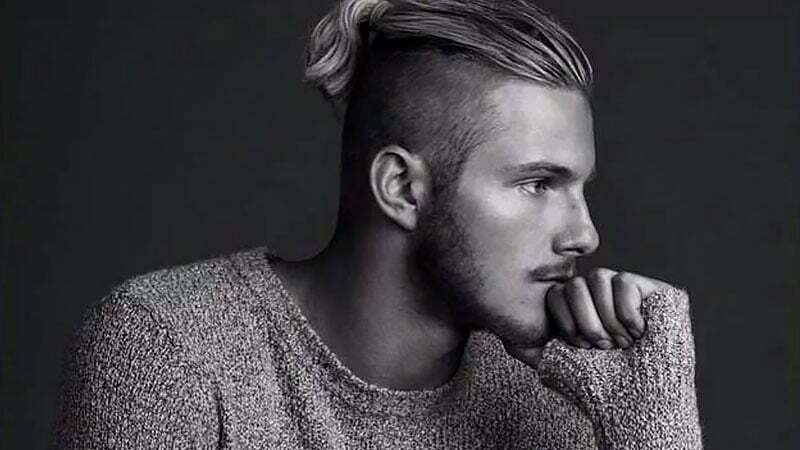 Want a hairstyle that’s equal parts Viking and hipster? Look no further than a top knot and undercut combination. The unique style can easily fall into either category and be styled depending on your preference. 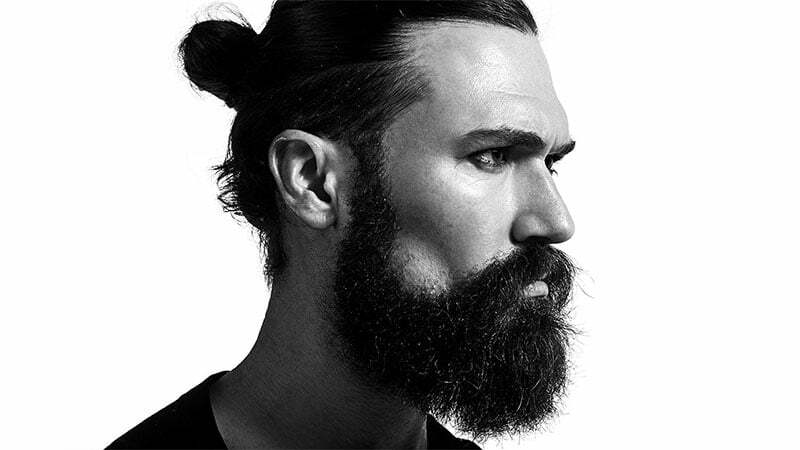 For a look that’s decidedly more Viking, maintain plenty of texture on top and keep the bun messy. For a more hipster style, neatly comb and smooth your hair for a sleek look. Best of all, both work flawlessly with a beard. While loose, long hair can create a seriously stylish look, it doesn’t always come across as a Viking style. 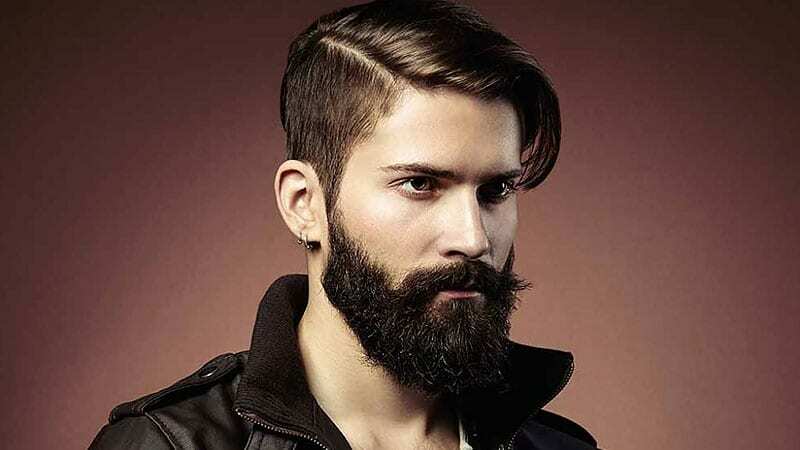 To make the lengthy cut appear a little tougher and more rugged, try partnering it with a beard. Also, keep your hair a little messy and full of texture, either naturally or using a sea salt spray. The combination of the beard and untidy mane will take you back to the days of the Vikings with ease. Vikings and punks may have more in common than you think. As well as a healthy dose of attitude, the two groups also seemingly shared an appreciation of the Mohawk. While they may have worn the look in different ways, the cut was essentially the same. Shaved sides with a noticeably longer strip of hair running down the middle of the head from the hairline to the back. Today, the hairstyle is still an excellent choice for gents and a top look to try if you can handle its intensity. Rocking a Viking hairstyle is all about finding the right cut with just the right amount of intensity to suit you. So, if you like a haircut that’s awesome and edgy but is also easy to wear every day, consider trying a slicked-back undercut. The look is both rugged and sophisticated and can be adjusted to suit your needs. For a style that’s more conservative, just leave the sides a little longer and the top a little shorter. Long, glorious locks are also characteristic of the Viking style and can be an excellent way to channel the look. The key to pulling off long hair like a Viking is to keep your hair messy and textured. Although, as it’s 2017, you don’t want your mane to get too out of control. As such, a messy, half-pony is an ideal solution. Not only does the look provide you with the rough and rugged appearance of a Viking, but it’s also practical and keeps strands stylishly off your face. Don’t worry if you don’t feel like shaving your hair and are yet to grow your locks to an epic length. You can still achieve an amazing Viking-inspired hairstyle with what you’ve got. A simple half-bun is all you need to take your plain, medium length mane into warrior territory. Just remember to complete the look with a beard or, at least, a whole lot of attitude. 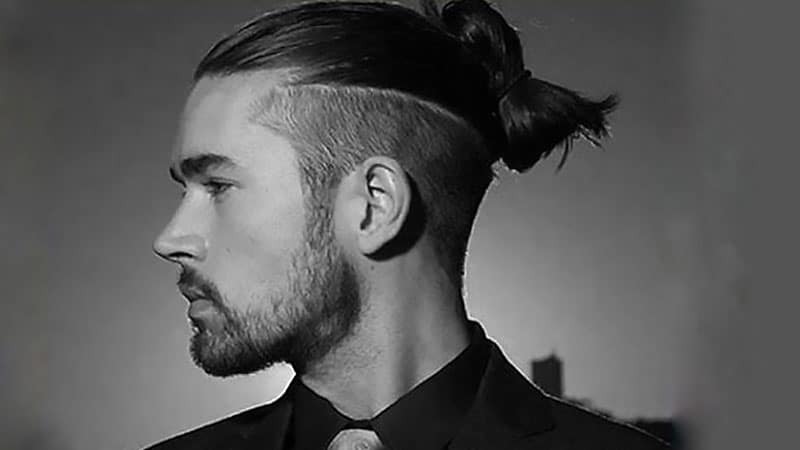 The man bun is a great style that appears modern but offers a killer Viking feel. It’s also easy to create and can be worn with any hair type, including curly, wavy, and straight. To rock the look, you just need to have medium or long locks and a hair elastic. Then, all you need to do is use your hands to pull all your hair back and secure it into a small bun. While you can use a comb or brush, your hands will offer a more authentic, slightly dishevelled appearance. Braids are also commonly associated with Vikings and can create a unique and stylish look. 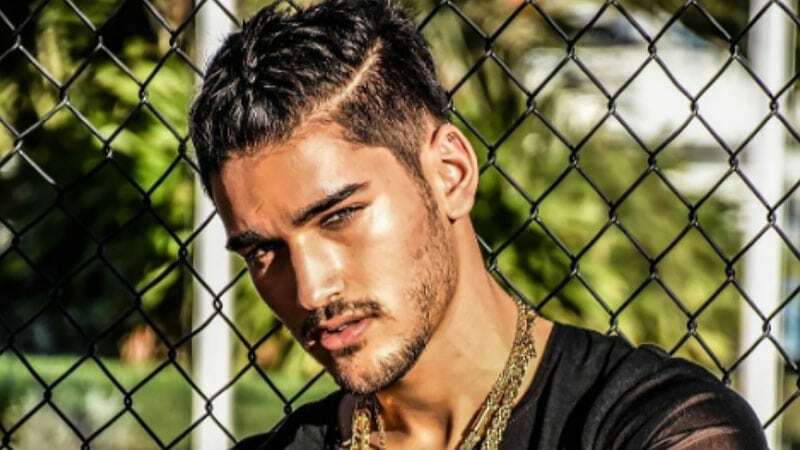 Best of all, the man braid is currently trending and a top, fashionable hairstyle to try. For a standard style, try creating a single braid down the centre of your head. While this will be most easy to do on long hair, the look can also work on cropped cuts with the help of some styling products. When rocking a Viking look, don’t be afraid to mix a couple of signature styles together. One way to do this is to combine a half-pony with an undercut. The powerful partnership will project serious warrior vibes and is sure to get you noticed. To become a triple-threat, you can also try adding a man braid along the top of your head before finishing with the ponytail. For a seriously subtle way to infuse your hair with a Viking touch, opt for a low, taper fade haircut. 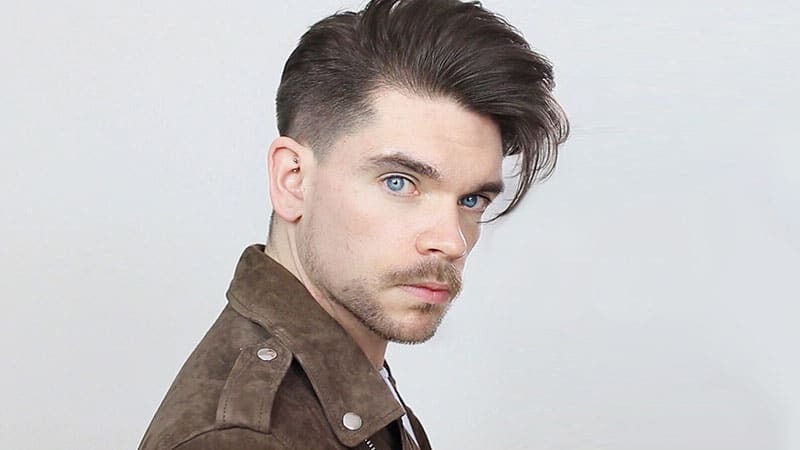 The hairstyle, which transitions from a longer length on the top of the head to a short, shaved length near the ears, is the perfect way to experiment with Viking hairstyles without committing. To completely nail the look, just be sure to leave your hair long and thick on top and flip it over to one side. 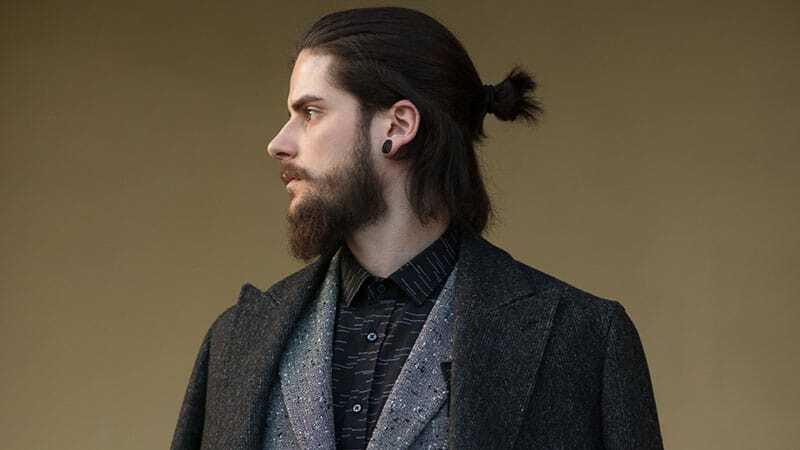 Like the half-pony and undercut, the half-bun and undercut can also make an awesome Viking hairstyle. While the look is edgy and masculine, it also offers a contemporary and sophisticated edge that’s perfect for 2017. Before asking your barber for the cut, think about how high or low you want the undercut to start. A simple adjustment in the height can completely alter the outcome of this haircut, so it’s best to consider your options first. Look to ponytails, buns, and shaved styles for an awesome Viking haircut. Try a braided look for a statement Viking style. 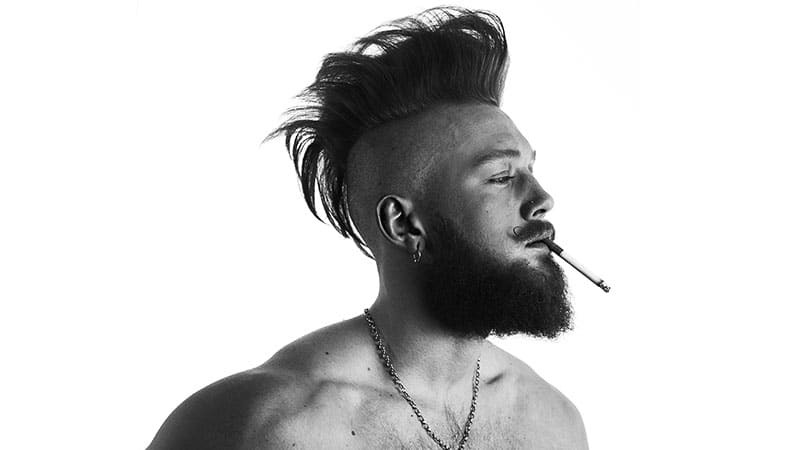 Undercut styles are an excellent way to rock a Viking look with modern appeal. Consider growing a beard to add an extra Viking edge to your look. For an authentic Viking hairstyle, keep your locks messy and maintain plenty of texture in your strands. To achieve a subtle Viking style, skip the daring cuts and select a taper fade instead.